A theoretical study about the interaction between small gas molecules (H2O, CO, CO2, NH3, and CH4) with graphene quantum dots (GQDs) was performed. To develop gas sensors with ultralow detection levels, the nature of the bonds between the gas molecules and the GQDs should be understood and controlled. It was found that the binding energy (Eb) of the gas molecules with the GQDs can be controlled if the GQDs are doped. In the first part of the investigation, a choice of appropriated exchange/correlation functionals and basis sets was achieved. After this, the pure generalized gradient approximation (GGA) functionals, including the non-local (NL) density-dependent dispersion correction and the atom-pairwise dispersion correction (D3), were employed and found that they described accurately the Eb for the adsorption of water on GQDs. The use of NL and D3 corrected GGA functionals revealed that the Eb for the adsorption of H2O, CO, and NH3 on Si- and Al-doped GQDs can be improved, which indicates that the detection limit for the detection of these gases can be enhanced. 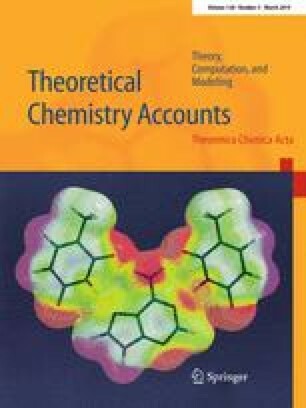 To understand the nature of the bonds involved in the adsorption, different approaches were used, such as the quantum theory of atom in molecules and the electron localization function. This work was supported by Conacyt. The authors wish to thank the supercomputer facilities of Xiuhcoatl and Abacus. FMA thanks to Conacyt for the received PhD scholarship.